UPAA-MB Makes Another Score in “Love Strike” – UP Alumni & Associates in Manitoba, Inc. 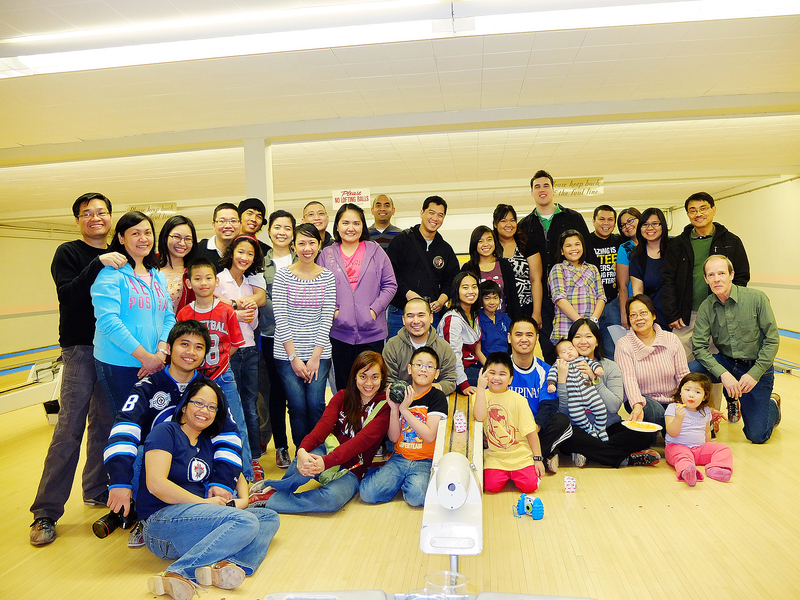 The cold weather did not stop the UPAA-MB from having a successful “Love Strike” bowling event in the afternoon of February 11, 2012 at St. John Cantius Bowling Lanes. The attendees heated up the lanes with two games that both required teamwork, strength, and proper execution of strategies. Members of UPAA-MB, along with their family and friends, were divided into six groups for the activities. The first game was the Bingo Bowling in which all groups struggled to get all the required scores to be able to mark all the boxes on the Bingo sheet. After all the cheers, screams, and much anticipation, the Team 1 finished first and won the Bingo Bowling game. Team 1 was composed of Dennis Flores, Darren Gonzales, Beth Quijano, Aaron E, Grace Francisco, and Jackie Flores. They later moved on to the second game, the Funky Bowling, which had added twist of scoring while bowling in ten different ways. 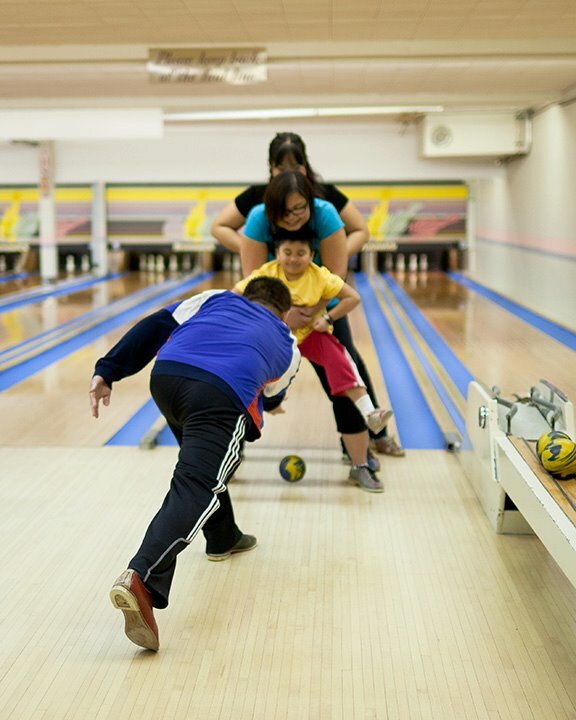 Among these ways were using the right and then the left hand for bowling, bowling backwards, bowling while sitting, bowling while hopping, and rolling the ball through split legs of all team members formed as a tunnel. This time the all-boys Team 6 won and they were Edwin Yazon, Jerome Javier, Nelson M. , Danjae Medina, and Marjiam Santos. Also, the highest scorer per group were declared winners. They were Grace Francisco from Team 1, Oliver Francisco from Team 2, Arwyn Chua from Team 3, Vanessa Jusi from Team 4, Jean M. from Team 5, and Danjae Medina from Team 6. 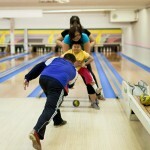 Team #2 during the second round of the games -- "Funky Bowling". Photo by Pong Maniquiz. The great time everyone shared while playing and cheering for friends and family members can never be matched. The day was ended with announcements of future events, activities, and, lastly, of the completed process for incorporating UPAA-MB as a non-profit organization. As this was the first social event in 2012, UPAA looks forward to more future gatherings and more participation from members, their families, and from the community. Way to go UPAA-MB!